“The door is open,” Downtown Improvement District (DID) Chair Eileen Hampshire said of the possibility of a new type of collaboration between the City of Sarasota and Sarasota County on the issue of addressing homelessness — a partnership that appeared highly unlikely just a month ago, observers say. 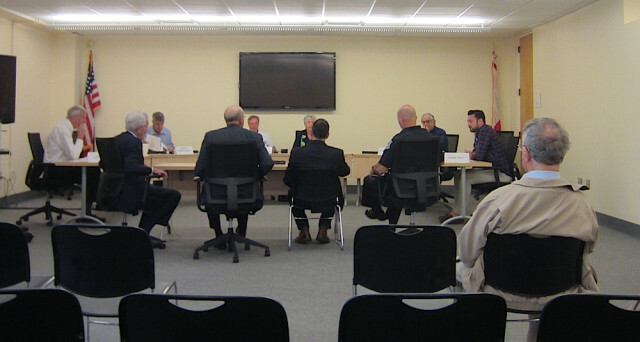 “All things considered, I’m happy with the outcome,” Hampshire added in describing the DID’s Feb. 2 meeting, during which the group heard from County Commissioner Paul Caragiulo and City Manager Tom Barwin. The downtown group voted to support a joint effort of the county and city to try to establish two potential funding streams that would enable the community to better tackle the issue of homelessness. While the debate over the size, function and location of a possible shelter for chronically homeless individuals is far from over, the shift to the funding discussion this week led to cautious optimism among DID board members, as well as Caragiulo and Barwin. 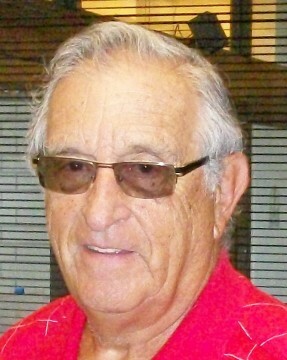 Caragiulo, who served as a city commissioner from 2011 to 2014 — prior to his election to the County Commission — said he came to the DID’s regular meeting to try to open the lines of communication and to listen to the members, who are representatives of the business community most impacted by the population of chronically homeless people in the community. Comprising five downtown non-residential property owners appointed by the City Commission, the DID board’s mission is to enhance the ambiance and character of the downtown core. Caragiulo was formally appointed by his fellow county commissioners to attend the DID meeting, where he also talked about ongoing efforts to build a come-as-you-are shelter. 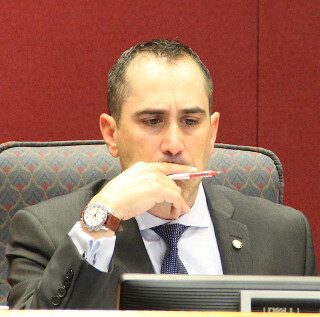 Caragiulo’s appearance came amid what community residents have characterized as a standoff between his board and the City Commission over the shelter, the establishment of which has long been a county goal. The first option calls for the creation of a health and mental health taxing district, a concept that was discussed at the Nov. 6, 2015 joint meeting of the City and County commissions. A referendum would be necessary to establish it, Caragiulo said. Such a district could generate money for the construction of a shelter as well as provide ongoing revenue for health and mental health treatment. County residents could vote on the district as early as November, during the Presidential Election. The second option calls for pursuit of surtax on real estate transactions. This measure would necessitate Florida legislative approval; the possibility exists that it could be added to a real estate bill already moving through the Legislature. “If we can get this to work, it is a major step,” Hampshire said of the funding prospects. 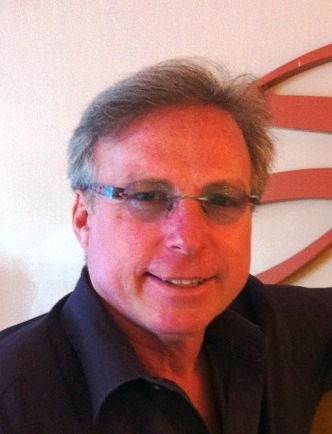 Logan is the city’s director of special initiatives on chronic homelessness. After the board heard from both Caragiulo and Barwin and then engaged in a brief discussion on shelter siting, DID member Mark Kauffman mentioned funding. Kauffman noted a desire on the part of many residents to see the homelessness issue addressed successfully. Kauffman also suggested adding an option on property owners’ tax bills that would enable them to voluntarily pay more than 5 percent, if such a surtax were approved. That might encourage philanthropy as additional support toward helping the homeless, he pointed out. Caragiulo and Barwin said they believed the city and county would work together to explore the two funding stream options. “We will do everything in our power to make sure this gets traction,” Barwin told the board members. “Just maybe we can get something done,” Caragiulo said in an interview with the News Leader. Despite the DID’s support of city-county collaboration regarding the funding measures, several longstanding, key questions remain unanswered — and likely will for some time. For example: How would the revenue from the funding streams be allocated to specific purposes? How much money would go toward a come-as-you-are shelter? What portion would be dedicated to establishing the Housing First initiative that has become a priority of the City Commission? Questions such as these will be left to the elected leaders. Meanwhile, the city and county have been working on separate efforts to address homelessness. The city has been focused recently on a program to permanently house homeless veterans, and the county has seen success through SHIFTS, an initiative coordinated among the Sarasota County Sheriff’s Office, Sarasota County Health and Human Services, and Community Assisted and Supported Living, with funding from the county. SHIFTS identifies adults who are homeless in unincorporated areas of the county who are likely in need of permanent supportive housing and moves them into a group setting for up to 90 days, so they can be evaluated and provided appropriate services, county staff has explained. Another possible concern, Caragiulo noted, is the timing of asking voters for a new tax on the same day they will face a referendum seeking close to $200 million to pay for major county construction projects, including a Public Safety Campus for the Sheriff’s Office. That referendum will be on the November ballot. Yet another challenge, said, will be winning the support of voters in unincorporated areas of the county who might be experiencing less of an impact from homelessness issues. A Florida statue approved in 2013 makes the mental health tax district possible: “[B]y a majority vote of the electors … establish the district with authority to annually levy ad valorem taxes which shall not exceed the maximum millage rate authorized ….” That rate cannot exceed 0.25 mills, Barwin told the DID board members. Preliminary projections estimate that a 0.25 millage levy could raise $11 million annually. The district can provide funding for “indigent and other health and mental health care services throughout the county,” according to the statue. Many chronically homeless individuals have untreated mental health problems, which often lead to their encounters with law enforcement officers, city officials say. To reduce chronic homelessness, predictable and reliable funding sources must be identified to address the significant gap in mental health services, county and city leaders point out. During Caragiulo’s presentation, DID board members did ask about possible locations for a shelter. Chair Hampshire and Ron Soto said they had concerns about a facility being established downtown. 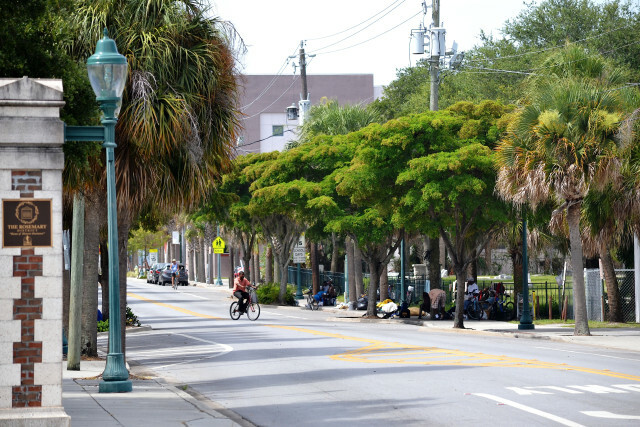 “When you bring [homeless individuals] up from Venice or North Port, they are not going back down to Venice. They are staying here,” Soto said. A key component of the plan, Caragiulo replied, is to implement programming that will help homeless individual achieve stability in their lives. The DID board stopped short of advocating for or against a specific shelter location. Barwin then presented information on how the city is implementing some of its eight-step strategy to address homelessness, including establishing a transitional center at The Salvation Army to help direct individuals to the appropriate places for help.